I ended up at an impromptu zines meetup at Strange Loop. There was much discussion of how zines are great. A bunch of us (myself included) had never actually made a zine before. Wouldn’t it be cool to make one together? TLDR; make a page for the Strange Loop zine, send it to [email protected] by November 1st, and I’ll compile them and send them out! Zines are self-published, small-circulation, often nonprofit books, papers, or websites. They usually deal with topics too controversial or niche for mainstream media, presented in an unpolished layout and unusual design…like all art and media, zines can be anything and everything. And they are. Here are a few that we talked about! 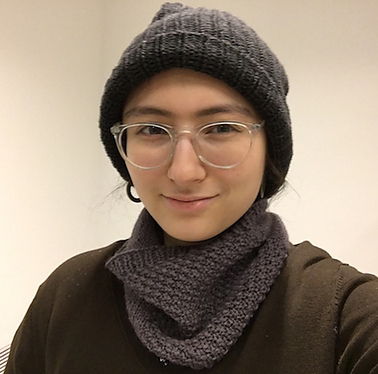 Julia Evans’ zines - she was handing out Linux debugging tools you’ll love at the conf! What should be on my page? First things first: formatting. I’m going to be printing these on standard 8.5” x 11” paper, folded in half to make two “pages” of 8.5” x 5.5”. Send me something scaled to fit either one or two of the 8.5” x 5.5” pages. Secondly: content. Do whatever you want! No, seriously, as long as it meets the Strange Loop Code of Conduct. Sketchnotes from your favorite talk? Doodles of weird stuff you saw? Your favorite random conversations? Sketches of the hotel lobby? Don’t stress out about it being polished / pretty /etc, that’s not what we’re going for here. November 1st, 2016. Chosen arbitrarily. Email your pages to [email protected] with the subject [strangeloop zine]. I’ll post the PDF on my blog. If you submit a page, I’ll mail you a paper copy, too. Strange Loop Zine 2016: Call for Pages was published on September 30, 2016 by Bonnie Eisenman.